I’ve known Steve Patterson, who lives in St. Louis City and writes a very active blog called Urban Review STL, for well over a decade. In October 1999, he took a League of American Bicyclists Road I on-road course I conducted as a League Cycling Instructor at Florissant Valley Community College in North County. 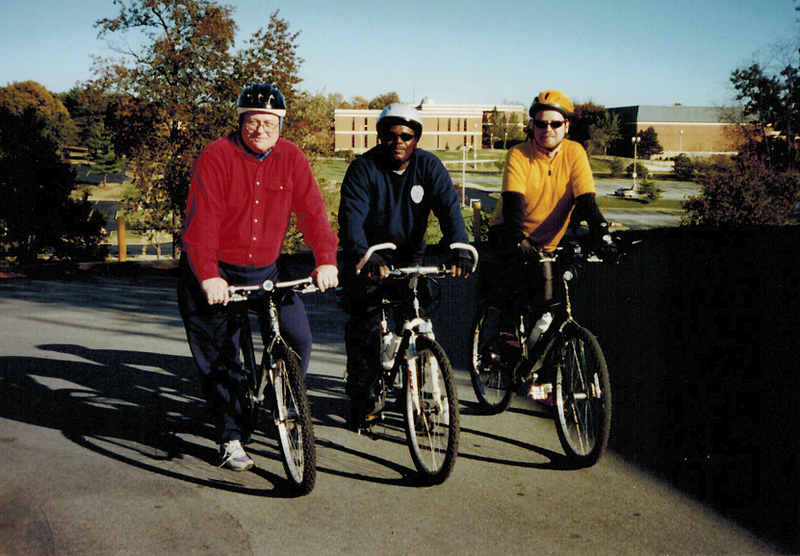 It was held on the campus so that two college bike-mounted security guards could also attend. Steve was a top student, scoring 98% on the Road Test. In St. Louis City, he actively used a bicycle to get around whenever possible as part of his business as a realtor. It was therefore a huge blow to him when he suffered a stroke in his apartment which left him paralyzed for several days. Since then, he’s been making a slow recovery and can now drive a car with modified controls, in conjunction with a wheelchair. Throughout this period, except when totally incapacitated by his stroke, he has maintained a very active blog on the City of St. Louis and brings a laser focus to bear on issues that need attention. He is also a strong supporter of smoke-free air, which brings me to the reason for this mogasp blog. 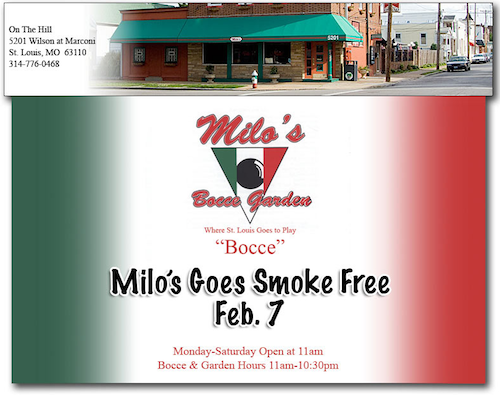 On the one-year anniversary of the historic implementation of both St. Louis City and St. Louis County going largely smoke-free on January 2, 2011, Steve conducted an in-depth evaluation of just how well it had succeeded, visiting formerly smoking-permitted bars and restaurants. His report is well worth reading, as are the 74 comments it elicited, which demonstrates just how much interest Steve’s blog generates. I’ve pasted the link to Steve’s blog below and would urge you to visit it.